In 829, Kukai established the Shugei Shuchiin. This academy was the first private higher educational institution for the public for the purpose of educating the common people and providing comprehensive education in various manner of thought and liberal arts, such as Confucianism, Buddhis, Taoism and so on. The academy promoted the personal, moral, spiritual, and intellectual development of its students. 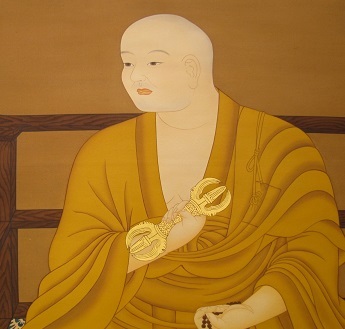 Kukai’s intension was to establish a school that would make educational available to poor boys as well as the well-to-do, and the comprehensive curriculum he envisioned was to combine instruction in Exsoteric and Esoteric Buddhism with Confucian teaching. The protocols of the school were written in 828, and construction was started at a site near the TOJI. His remarks known on the protocol was inherited by Eimei University as its educational foundation. It appeared as locational influence, educational policy and subjects, hiring standard for teachers, and school management. Initiated 1964 lead by Master Teramoto at Kozanji temple, Hiroshima. Assigned Chief Priest of Komyoji temple special branch in 1964. He received ritual for the conferral of the Master status at Entsurituji Dojo in 1965. 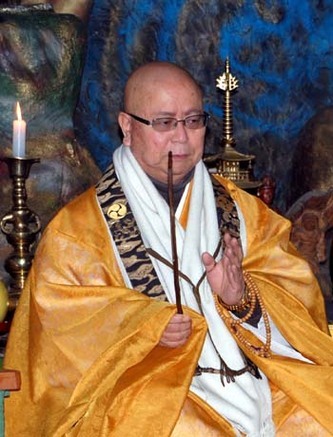 He became Chief priest of Kunimiyama Daikokuji Temple in 1967. We need to raise the consciousness of our mind through gratitude and compassion. Unfortunately, in the present world, materialism prevails, and when Kokoro (mind) is absent, money is used as the center of one’s existence. This materialistic form of existence not only results in ignoring universal principles based on truth, but also results in the instability of one’s heart. According to Master Kawakami, one’s humanity and truth is based from the heart, and neglecting this truth for materialistic obsession will result in a world headed for biological and ecological destruction. Master Kawakami believes that compassion and gratitude are necessary for world peace; and with this belief as our corner stone we can all walk hand-in-hand. Initiated 2008 and ordained 2010 lead by Grand Master Eimei Kawakami at Daikokuji Dojo, Kagoshima. ​Additional transmission was received from Rev. Kyoyu Kido from Daigoji Temple, Kyoto. He became Chief Abbott, Shingon International Order in 2017. Kokoro in Japanese generally means ‘mind’, ‘heart’, and ‘center’. However, we translate the word as ‘universe’ based upon the teachings of Shingon Mikkyo.